My kids would eat cereal for breakfast, lunch and dinner if they could. 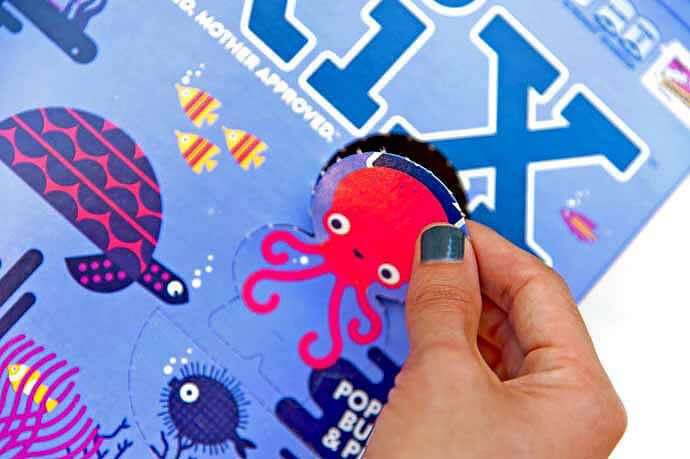 When we heard about the new KiX Interactive Adventure Boxes at Target, we jumped at the opportunity to try it for ourselves. Scrumptious cereal and hours of fun? Yes, please! 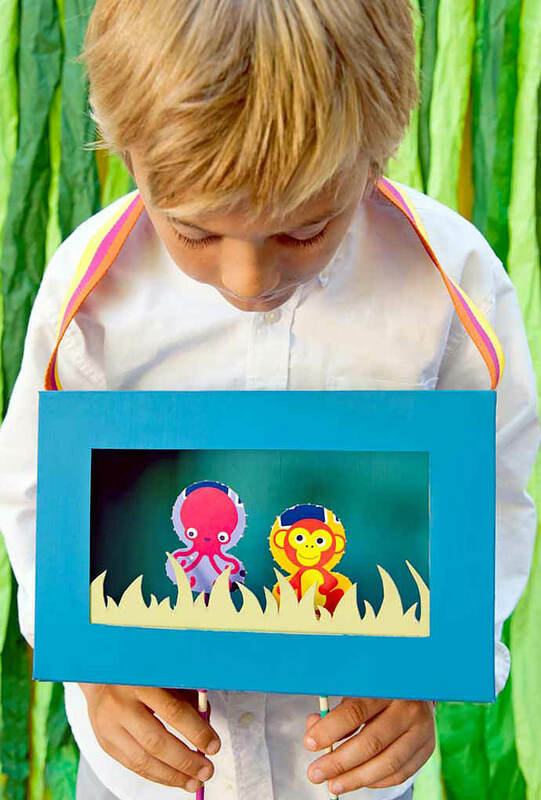 Each box is covered in adorable creatures for kids to pop out, construct, and use to invent stories of their own. 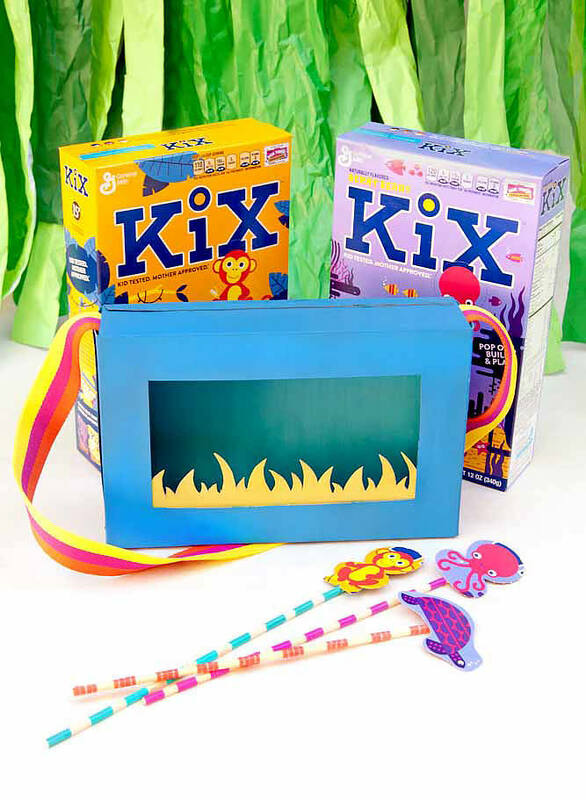 My kids immediately snapped into adventure-mode, popping the characters out of the box and jumping online to explore the KiX Adventure Stories. 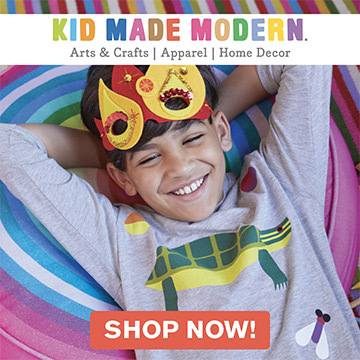 We were totally inspired by Soleil Moon Frye’s stories and set out to create our own tale. Murphy (my 9-year-old) was adamant that Rocky the Monkey and Mazy the Octopus, although an unlikely duo, were going to be best friends. Since monkeys don’t normally swim underwater, he decided this monkey was going to learn how to be a *sea* monkey. And so Murphy’s first Broadway-worthy script was born — *Rocky the Monkey Goes Aquatic: A Sea Monkey’s Tale*. Carefully deconstruct the box so it lays flat. 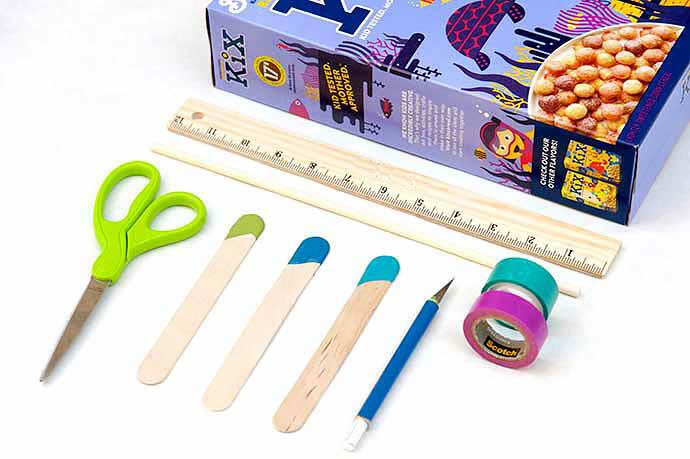 Measure and cut a window in the front of the box and a puppet track along the bottom using our printable template (download KiX Cereal Box Theater Template). Use the FolkArt® Home Décor Chalk Paint to give your box vibrant color and a wood-like texture. 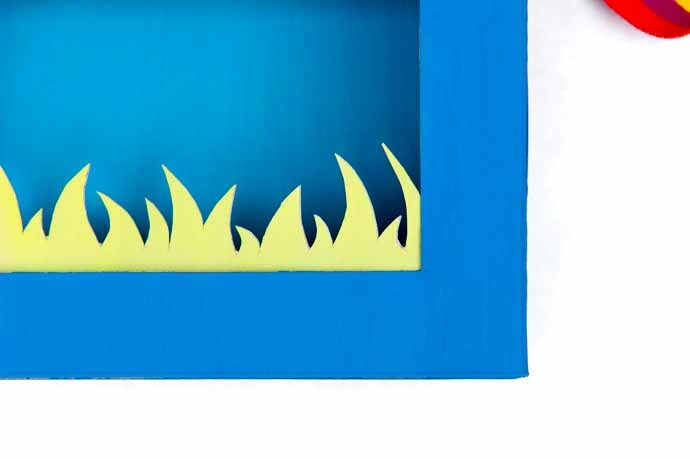 Use the leftover cardboard from the window to create the seaweed piece. 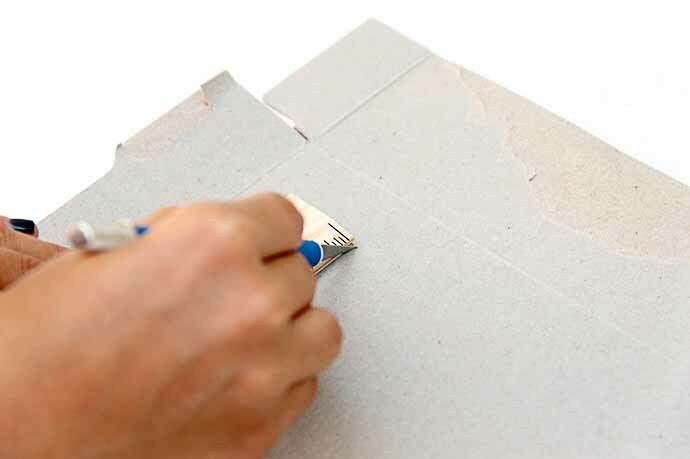 Once the paint has dried, attach it to the inside of the box with tape. Measure the ribbon to fit around your child’s neck. 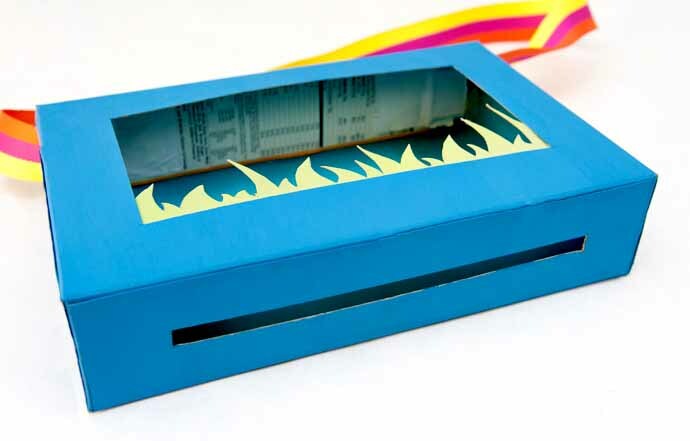 Use tape to attach the ribbon strap to the inside of the box. Seal the box shut. 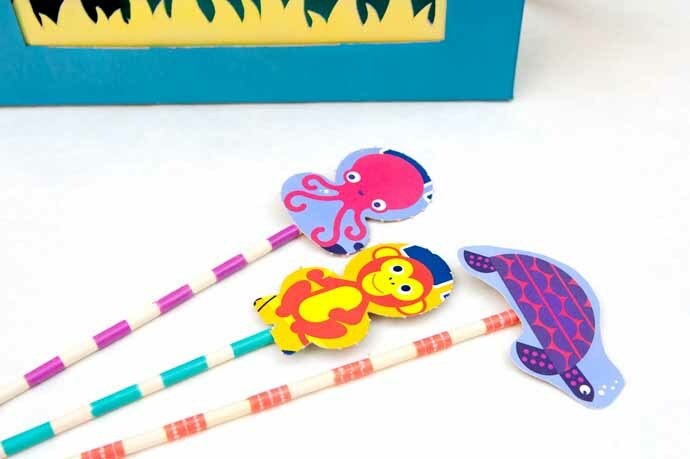 Finally, use tape to attach the KiX characters to the wood dowels to create the puppets. Now let the storytelling begin! I am a KiX Ambassador and KiX cereal products and other compensations were provided to me by General Mills. Oh, WOW! That is AMAZING! I love it! I wish we had something like that here in Spain! Awwww… I might try and do it somehow. Thanks for sharing!